Still set for release on August 23 for PlayStation 4, Xbox One, and PC, Deus Ex: Mankind Divided received a 101 trailer today, giving you more details about the storyline, new footage of Adam’s apartment and new locations in Europe, and more. 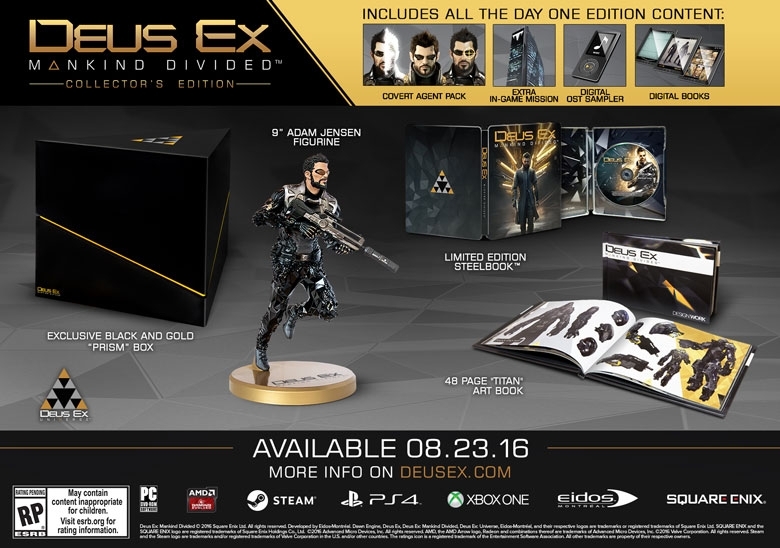 Square Enix and developer Eidos Montreal also detailed the various editions of Deus Ex: Mankind Divided, while also confirming that a Season Pass will be available on launch day. Details on what’s included inside the Season Pass weren’t given, but it should cost $29.99 on its own. You can pre-order Deus Ex: Mankind Divided through the PlayStation Store.